Remington has taken their 700 Mountain Stainless rifle and now chambered it in 6.5 Creedmoor to the delight of many hunters and shooters alike. The rise to fame that the 6.5 Creedmoor is experiencing is like none other, and Remington wanted to make sure their Model 700 Mountain Stainless got in the game as well. 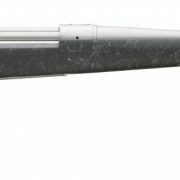 […] Read More … The post Remington 700 Mountain Stainless now available in 6.5 Creedmoor appeared first on The Firearm Blog. Ashbury Precision Ordnance has published a press release telling about a new special edition SABER M700 ERT rifle built to Sniper’s Hide specs. This rifle is built to be an entry-level sub-MOE precision rig for long range shooting. The new rifles are available chambered in .308 Winchester or 6.5mm Creedmoor. 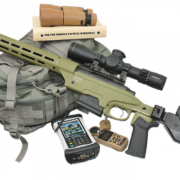 The Sniper’s Hide special edition […] Read More … The post Sniper’s Hide Special Edition APO SABER M700 ERT Rifle appeared first on The Firearm Blog. 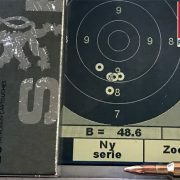 As the popularity of the 6.5 Creedmoor increases, we’re looking for accurate ammunition which doesn’t cost a fortune to shoot. In Europe the caliber is only starting to grow in popularity, so the volumes are low – prices sky high. Shooters want accurate ammunition, for free and we want it now! This test was done […] Read More … The post TFB Review: Sellier & Bellot 6.5 Creedmoor Tactical – 1 USD each appeared first on The Firearm Blog. 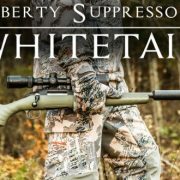 Introduced a little over a month ago, the Whitetail rifle is quite an interesting new Liberty Suppressors product for hunters. 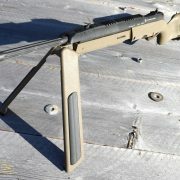 It is basically a shortened and suppressed Ruger American Rifle chambered in 6.5mm Creedmoor. 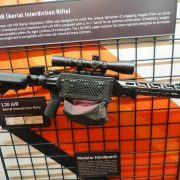 The company advertises this weapon as an integrally suppressed rifle. Here is how the company describes the Whitetail rifle (quoted from […] Read More … The post Liberty Suppressors WHITETAIL Rifle appeared first on The Firearm Blog. 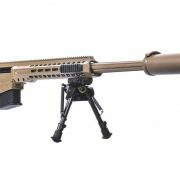 The US Department of Defense has confirmed the procurement of Barrett Firearms Manufacturing’s MRAD precision rifle chambered in .300 PRC from Hornady. The MRAD is currently offered in .338 Lapua Magnum, .300 Winchester Magnum, .308 Winchester, 7mm Remington Magnum, 6.5 Creedmoor and 260 Remington. The Department of Defense contract marks the first time the bolt action […] Read More … The post Department of Defense Procures Barrett MRAD in .300 PRC appeared first on The Firearm Blog. In this episode of TFBTV, James visits with Marc of DSA to discuss the modernized or “Improved” series of modern FALs being produced by DSA. In addition to several improvements and modifications, DSA plans to launch a new FAL in 6.5 Creedmoor with a stainless match barrel. ««« PATREON GIVEAWAYS »»» Go to http://tfbtv.gun.team for […] Read More … The post [SHOT 2019] “Improved” Modern FAL (and 6.5 Creedmoor!) appeared first on The Firearm Blog. In this episode of TFBTV, James visits with rifle maker, Savage, to talk about their new precision rifle/competition entry to the Savage “MSR” AR15/AR10-pattern rifle line and a new lightweight high country hunting bolt action rifle, both coming in 6.5 Creedmoor as well as other popular hunting and competition calibers. ««« PATREON GIVEAWAYS »»» Go […] Read More … The post [SHOT 2019] New Savage Precision/Competition AR10 and High Country Hunting Rifle appeared first on The Firearm Blog. Steyr Arms have announced a new version of their Scout Rifle chambered in 6.5 Creedmoor. The new chambering joins the line of light, handy bolt actions. The new 6.5 Creedmoor chambered rifle joins other calibres in the Scout Rifle line which include .223 Remington, 243 Winchester, 7mm-08 Remington, .308 Winchester. The Scout Rifle was developed […] Read More … The post Steyr Introduces Scout Rifle in 6.5 Creedmoor appeared first on The Firearm Blog.